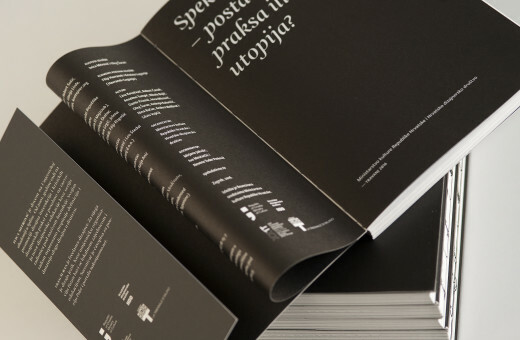 Mostly owing to diverse activities organized in the framework of the Visual Communications Design Department at the Arts Academy in Split (DVK UMAS), terms and methodology related to critical design (in the sense popularized by Anthony Dunne in the late 90’s and early 00’s), design fiction and, finally, speculative design, have appeared in Croatian formal higher education in the field of design at an appropriate time or, at least, without considerable delay. Moreover, through a series of workshops named Interactions and, more recently, also through the international UrbanIxD project, this school managed to network with some of the most important representatives and advocates of the above mentioned practices from various European and international universities, indirectly learning from their experience and at the same time persistently updating and modernizing its operating methodologies and discourse. Therefore, it is no surprise that in a relatively short period of time those terms have been used alternatively or even simultaneously, despite the fact that it is not really easy to find linear or one-way hierarchical relations between them. The term “speculative design” served as the main orientation for this year’s edition of the Interactions workshops. At the same time, it has been used for the interpretation of the project/ installation titled Eutropia, presented in the Croatian Designers Association gallery in the spring of 2015. On the one hand, “speculative” really implies a relatively broad scope of connotations, and on the other, it also implies a kind of precision and even exclusiveness of its own contextualisation. In its basic meaning, in the context of analysing design as a practice, this term unambiguously highlights its active analytical, intellectual and discursive dimension, which is a direct link to the notion of critical design. Another important aspect results from film and literature traditions of so-called speculative fiction whose capacity to imagine possible realms is shared with the idea of so-called design fiction. And finally, the very practice of “speculation” in design is almost unavoidably inspired by possibilities of certain variance, noise and unbalance of the dynamic relations between societies, technologies and humans, where its hares the same focus with interaction design. At the first glance, one might think that this implies nothing but opening another niche for a new type of specialization, worse still, binding the design practice and discourse to an even deeper, more hermetical and exclusive design meta-language; however, for the time being it seems that this is luckily not the case. Since it is not oriented only to mass production of real physical products but rather to an opportunity to re-think conditions in which such products might become part of our everyday lives and the resulting consequences/implications, speculative design often uses narrative techniques found in video, film, television or the mass media in general. Namely, speculative design prototypes (or prototypes that emerged as the result of speculative approach) are extremely interdependent with the imagined context for which they have been initially designed, and therefore, to become understandable, they require their story to be told in a clear and intelligible manner that is closest to our everyday experience. Consequently, speculative de￼￼￼￼￼sign finds its natural environment in popular culture, and the language it uses seems to be strangely familiar, no matter whether we grew up watching The Twilight Zone (1959 – 2003) or Black Mirror (TV series, 2011— ), the two superb examples of speculative fiction that belong to pure mainstream. Black Mirror is especially interesting because it bases almost every episode on the same principles as speculative design; nevertheless, designed fictional objects for everyday use, interfaces, technical artefacts and scenarios are very often the central part of the plot, i.e. in the episode titled The Entire History of You, such object is an implant allowing its user to “rewind-fast-forward” his or her previous experiences, whereas in White Christmas there is a device providing the experience of expanded reality where it is possible to “block” certain individuals from one’s environment, similarly to blocking on social networks; in Fifteen Million Merits we see a dystopian world where systems of labour and leisure, virtual economy, social media and reality television as we know today get prearranged in their creepiest possible perversion. The power of speculative design is very close to the suggestive power of those bizarre satirical stories in as much as it deals with scenarios which are, from our perspective, not only imaginable, but they seem to have already been present. Whether they are displaced in the near future or they exist on the “side” within an alternate present, they can tell us something about ourselves here and now, about the technology we use and the way the technology influences the society and our everyday lives, and about the role that design can play in that context and not necessarily in this order. From local reference works, although outside of the scope of design and rather in the domain of contemporary art, there are two projects by Andreja Kulunčić dating back to the late 1990s and early 2000s that deserve our attention. As one of the first Croatian artists to create complex online interactive projects inside galleries and museums, Kulunčić started using the speculative approach in some of her earliest works recognized by the public. Her work titled A Closed Reality: Embryo (1999 – 2000) relied on an online platform providing fictional scenarios allowing joint (in pairs) “genetic engineering” in line with individual preferences and detailed instructions on how to design a child. However, behind this seemingly naïve game there was a much more serious story that opened subsequently: users were able to create the new fictional population based on personal wishes, preferences and projections thus producing one of the possible samples for a future society, and finally, opening a whole set of very uncomfortable ethical, political and social issues. Soon after this project, the author realized the work titled Distributive Justice (2001), which allowed its user to take a step forward and project what he or she believes is a just distribution of social goods or a “just” and “healthy” society. Alongside the artist, there was a multidisciplinary team of experts from social, humanistic and technical sciences behind both projects, which also included a detailed programme with many workshops, lectures, discussions, etc. After a similar third work, Cyborg Web Shop (2004), which received less public attention, the projects of Andreja Kulunčić became less focused and based on the web, developing from an interdis￼￼￼￼￼￼￼￼￼￼￼￼￼￼￼￼￼￼￼￼￼￼￼￼￼￼￼￼￼ciplinary model of action, which she first utilized in the project A Closed Reality: Embryo. These are workshop-based and inclusive projects or they go along the lines of her earlier interventions into public space through fictive advertising and media campaigns. The latter approach demonstrates that speculativity is not essentially connected only to new technologies. The campaign NAMA – 1908 employees, 15 department stores (2000), based on city-light posters in the wider Zagreb centre, threw into the public space an unusual piece of fiction – brushed up photographic portraits of saleswomen of one of the largest Croatian chains of department stores, which at the time was at the brink of bankruptcy, with almost completely empty shelves. The posters emphasized the department store logo and the enigmatic slogan 1908 employees, 15 department stores, representing a perfect mimicry of advertising campaigns since they in no way indicated that they are part of an artistic project. The campaign received unprecedented media coverage and turned the attention of the public to the tragedy of the employees and the company, which, against all odds, managed to stay afloat to this very day. The artist has done similar campaign in Slovenia (Bosnians out!, 2008) and Austria (Austrians only, 2005). These two projects dealt with the treatment of underpaid and stigmatized illegal immigrants and foreign workers in Slovenia and Austria. Austrians only comprised attractively designed newspaper ads offering ethnic Austrians the “business opportunity of a life-time” – the career of a cleaner with a disgracefully low salary and no social benefits. The power and public resonance of these projects is based precisely on the cunning overlapping of two alternative, completely juxtaposed, reverse mirror views of the present. The artist, whose work is always observed in the context of social engagement in art, issues of human rights, social inclusion and exclusion, social change, etc., has in fact found her main instrument in the 31 imagination. Indeed, is the ability of the imagination not essentially related to each of the above terms, to any idea of a better and more just society? The series of defamiliarizing works, with an often melancholic atmosphere, of the artist David Maljković, beginning with the Scene for New Heritage (2004), These Days and Lost Memories from These Days, alternatingly touch upon ideas of an alternative past, alternative present and alternative future. In them, Maljković takes motifs of local modernist architecture and memorial plastic art, displaces them from their context and treats them as specific artefacts of long-lost or future civilisations. All aspects of these works are cryptic, elusive and open to interpretation, but the first impression they leave is a kind of nostalgia for the future. In other words, Maljković’s works compel us to again view the objects we are observing in this way, since they in fact were created at a time when it was believed that the future can still be invented. Maljković is obsessed with design and the future. After all, his work Out of Projection (2009) is directly inspired by the hidden and closely guarded research centre of the company Peugeot in which experimental futuristic prototypes of cars were tested, many of which never became saw the light of day, apart from being an incredibly stimulative fiction that ￼￼undermines our confident position of the present moment – pushing us backward and forward at the same time. 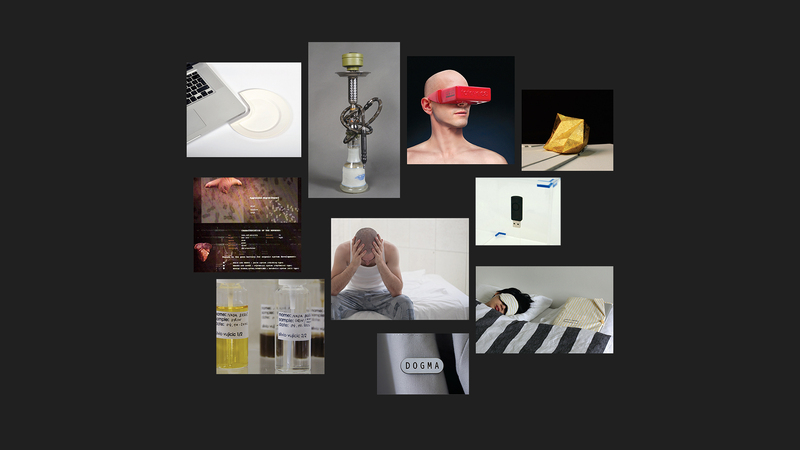 Many other activities on the local scene can be retrospectively marked as close to the speculative approach, such as guest visits and production of works for a host of various exhibitions, festivals and other similar events organized by the Bureau of Contemporary Art Practice – Kontejner, or several projects by the designer Lina Kovačević, such as A Set for Romantic Online Dinner and Future Artefacts, which use artefact design to recombine conventional everyday scenarios creating a kind of hybrid between the past, present and future. Today’s speculative designers would rightfully, of course, make a reference to the heritage of avant-garde and neo-avant-garde of the 20th century, modernism, various utopian visions and projections of close and usually better future by various architects, artists and designers. Of course, the context is different, more limited and cynical and less optimistic, unable to imagine any alternatives to the existing state of affairs whereas design itself remains almost entirely oriented to finding pragmatic solutions for a client’s requests. This phenomenon was in the focus of rather recent edition of Zgraf 11 (2012) following Dejan Kršić’s theoretical guidelines, appropriately titled This used to be the Future. It seems that the speculative design practice for the time being does not have an unreserved global visionary zest in its core, but it does have a seed of imagining the alternatives – realities and societies which are different from the existing ones, for better or worse. It allows designers, or rather, in line with its speculative logic, it forces them to look at the broader picture or to get a broader perspective of their profession than they usually tend to do. On the other hand, “users” or “the public” gets an opportunity to “taste” that kind of reality before embracing it as their own or deciding to renounce it to their dismay.